additional material on the monitoring and assessment of professional conduct and behaviours. The purposes and nature of assessment and clinical assessment. Responsibility and accountability surrounding clinical assessment. What do we assess? How do we assess? Conducting defensible and fair assessments. Assessment as a process to support learning. Monitoring progress, managing feedback and making assessment decisions . 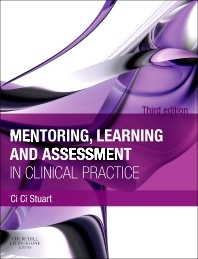 The clinical environment as a setting for learning and professional development. Learning through clinical practice: unearthing meaning from experience. Appendices.